President Donald Trump chastised the UN Security Council for underperforming and called on it to “impose additional and stronger sanctions” on North Korea during a meeting with UNSC ambassadors at the White House. 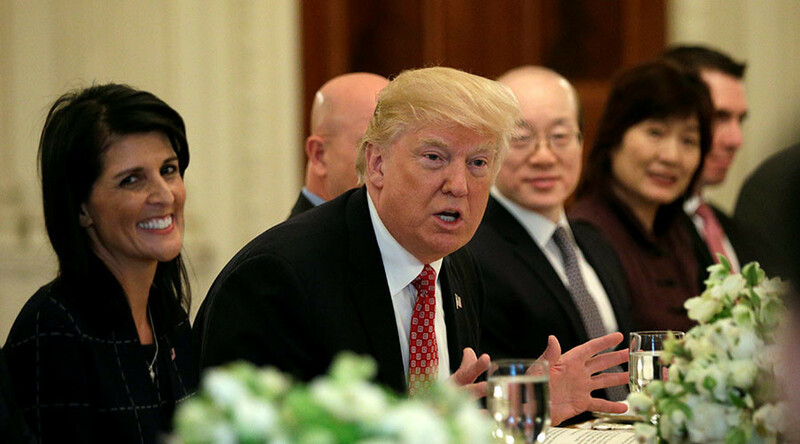 "The status quo in North Korea is also unacceptable, and the council must be prepared to impose additional and stronger sanctions on the North Korean nuclear and ballistic missile programs,” Trump said during the luncheon. Trump took the UNSC ambassadors to task for escalating costs compared to what he sees as a lack of progress at solving the world’s problems, similar to pressure he has put on the United States’ NATO allies. In an interview on NBC’s “Today” on Monday, US Ambassador to the UN Nikki Haley emphasized that the United States and the international community are seeking to maintain pressure on North Korean leader Kim Jong Un, but that they are "not trying to pick a fight with him." "We are not going to do anything unless he gives us reason to do something," she said. “But right now, we're saying 'don't test, don't use nuclear missiles, don't try and do any more actions', and I think he's understanding that,” Haley added. “And China's helping really put that pressure on him." 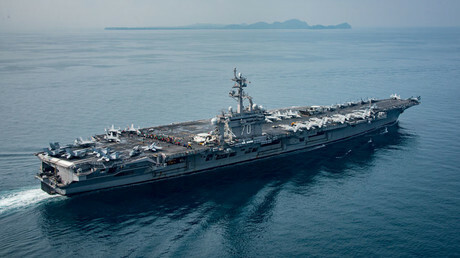 Also on Monday, North Korea called the deployment of the USS Carl Vinson carrier group to the waters off the Korean Peninsula "an extremely dangerous act by those who plan a nuclear war to invade." "The United States should not run amok and should consider carefully any catastrophic consequence from its foolish military provocative act," Rodong Sinmun, the official newspaper of the North's ruling Workers' Party, said in a commentary. The Carl Vinson group is expected to “arrive in days” in the waters off the Korean Peninsula, Vice President Mike Pence said on Saturday. The deployment is in response to mounting concern over North Korea's nuclear and missile tests, and its threats to attack the US and its Asian allies. On Sunday, Trump spoke with Japanese Prime Minister Shinzo Abe about “a range of regional and global issues of mutual concern.” The two sides “agreed to strongly demand that North Korea, which is repeating its provocation, show restraint,” Abe told reporters. Trump also spoke about “the urgent security challenge posed by North Korea” during phone calls with Chinese President Xi Jinping on Sunday and with German Chancellor Angela Merkel on Monday, the White House said. Xi told Trump that Beijing “hopes that all relevant sides exercise restraint, and avoid doing anything to worsen the tense situation on the peninsula,” the Chinese Foreign Ministry said in a statement. He also urged against any actions that run counter to UNSC resolutions. Top officials from the Trump administration and the Pentagon will brief the entire US Senate at the White House on Wednesday. It is unusual to brief the upper chamber from 1600 Pennsylvania Avenue, rather than in secure rooms on Capitol Hill.